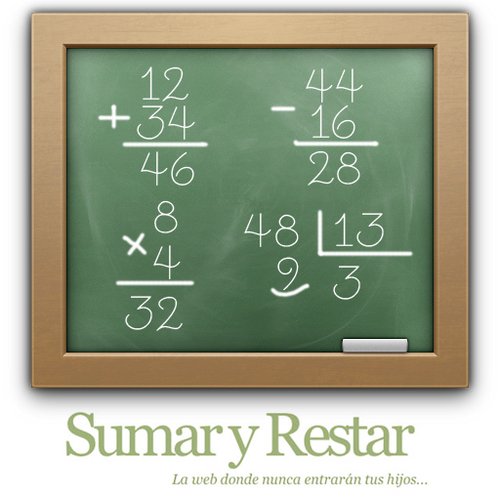 Sumar y Restar, your automatic generator for aritmetics. This web will help you in generating documents filled with aritmentcs operations to be solved by your childrens. So you can help them to improve their arithmetics capabilities. You can choose the operations using the menu. Sumar y Restar is based in easy-to-use sliders. You just choose the values of each operation and click on "Generate". You will get a solutions page with in the document. You can choose not only the number of digits in the operations but the number of operations with carry-on digits. This way you can choose the difficulty according to your childrens level. Sumar y Restar is free. Em Inglês, Espanhol e Galego.